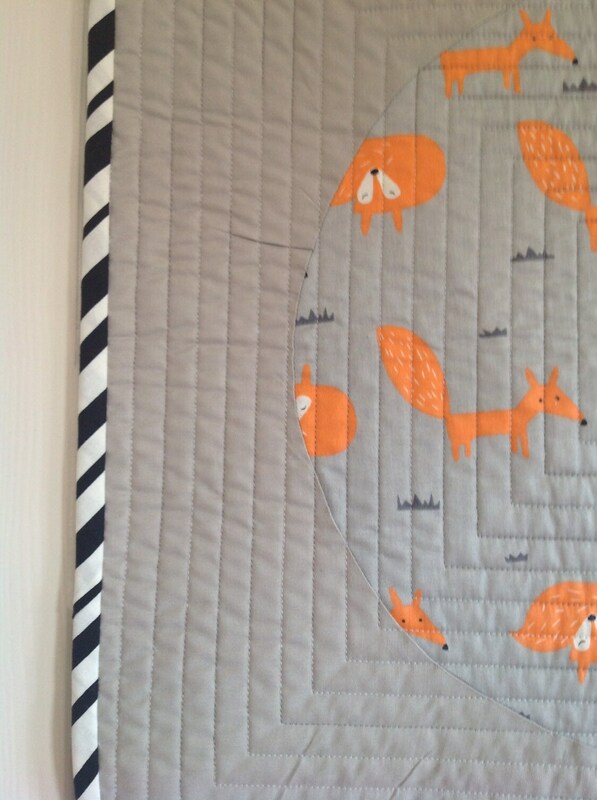 This beautiful baby boy cot quilt is made with penguins, foxes and chevrons. 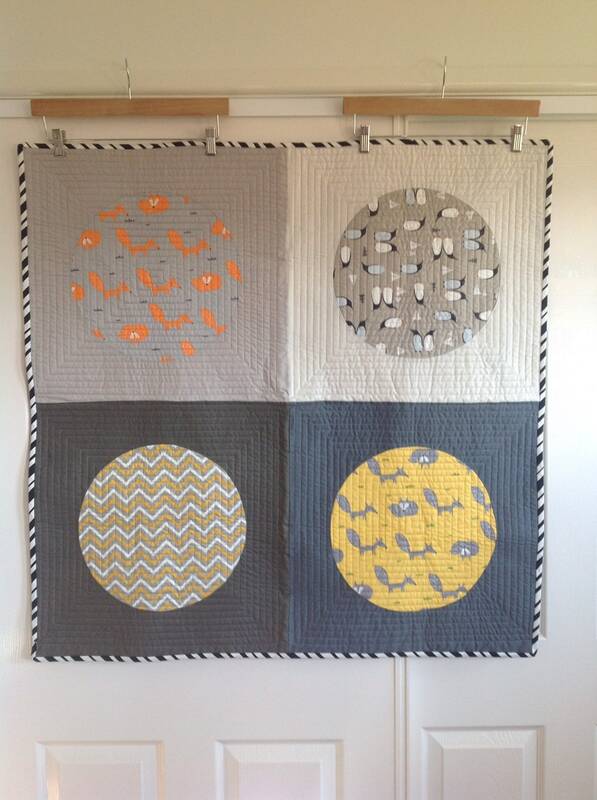 It is quilted with a square quilting design with grey thread. 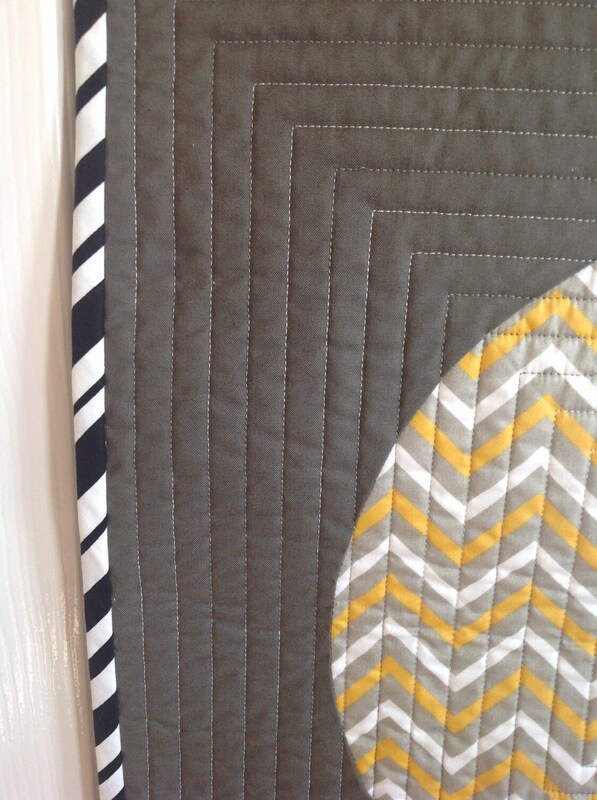 The black and white striped binding is cut on the bias to get the slanted look. It measures 97cm or 38.5” square.